Thai Union Group, one of the world's largest tuna producers, is winning praise from the environmental group Greenpeace after it committed to more sustainable fishing methods. Thai Union Group markets canned tuna around the world under a number of different brands. 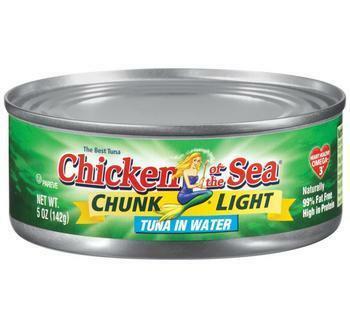 In the U.S., its brand is Chicken of the Sea. The company has agreed to adopt best practice fisheries, improve other fisheries, and bring more responsibly-caught tuna to key markets. “This marks huge progress for our oceans and marine life, and for the rights of people working in the seafood industry,” said Greenpeace International Executive Director Bunny McDiarmid. McDiarmid said Thai Union's agreement is important because it will pressure other industry players to adopt similar practices. The Thai Union commitments include reducing the number of fish aggregating devices (FADs) used in its supply chains by an average of 50% by 2020. FADs are floating, man-made eco-systems that attract tuna. The problem is, they also attract other kinds of marine life, including sharks, turtles, and juvenile tuna. Thai Union has agreed to double the amount of verifiable FAD-free fish sold in international markets within the next three years. The company has also agreed to extend its moratorium on at-sea transshipment, which allows ships to continuously fish for months at a time and has the potential to lead to illegal activity, Greenpeace said. The agreement also calls for the company to change from longline caught tuna to pole and line or troll-caught tuna for a significant amount of its catch, with the change effective by 2020. Longline vessels are being discouraged because Greenpeace says they can result in catching non-target species. As for the company, it says it is willing to take the lead in trying to influence positive change. It has agreed to work with the environmental group to meet sustainable goals. Representatives of Thai Union and Greenpeace say they will meet every six months to assess progress and implementation, with a third-party review sometime next year.